Available Colors: Black, Lime Green, Royal Blue, Red, Pink or Orange. Shipping Weight: Bulk, 100 per carton @ 32 lbs. Customized 5 Piece Leather Look Manicure Set (Item #HT-8759) is Promotional with a Free Artwork Imprint. Promotional Manicure Kits like our Personalized 5 Piece Leather Look Manicure Set are decorated with your logo with no setup fees. Customized 100% Cotton Screen Printed Apron Item #HT-9006S (Minimum Order: 50). 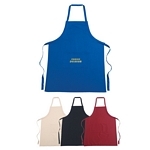 Promotional Aprons like the 100% Cotton Screen Printed Apron can be personalized with your business logo and with No Setup Fees. Customized 6 Piece Manicure Set in Aluminum Case Item #HT-8760 (Minimum Order: 100). Promotional Manicure Set like the 6 Piece Manicure Set in Aluminum Case can be personalized with your business logo and with No Setup Fees. Customized 1 oz. Hand Sanitizer (Item #HT-9047) is Promotional with a Free Artwork Imprint. Promotional Hand Sanitizers like our Personalized 1 oz. Hand Sanitizer are decorated with your logo with no setup fees. Customized 1.9 oz. 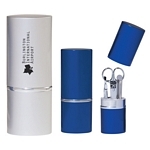 Hand Sanitizer With Carabiner (Item #HT-9048) is Promotional with a Free Artwork Imprint. 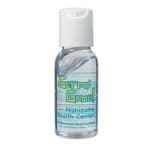 Promotional Hand Sanitizers like our Personalized 1.9 oz. 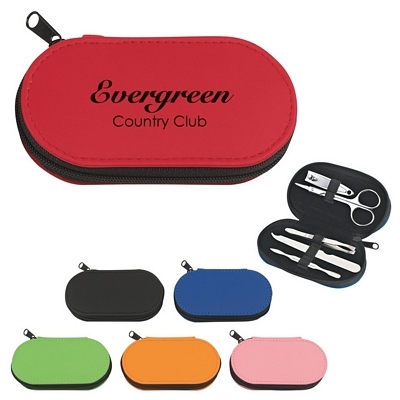 Hand Sanitizer With Carabiner are decorated with your logo with no setup fees.